Did you know that many alternative discounts are available to help reduce your annual Ohio workers' compensation costs? Through the Ohio Council's program, your organization can be evaluated for qualification in a variety of alternative rating programs to reduce your costs. Our program, administered by CompManagement, Inc., offers you quality service and stability through the complex workers' compensation environment. CompManagement is the leading provider of claims administration services for workers' compensation, unemployment compensation, alternative rating program administration and safety and loss prevention. They have been serving Ohio employers of all sizes, from large corporations to small family-owned businesses, and in virtually every industry classification since 1984. If your organization is not yet participating in this member benefit, and you would like to receive a free, no-obligation analysis from CompManagement, to see how much your organization can save, call CompManagement's Customer Support Unit at (800) 825-6755, option 3 or visit their website at http://www.compmgt.com. NOTE: As a sponsor of a group workers' compensation rating program, the Ohio Council is required to distribute the following "Group-Rating Safety Accountability" letter to our membership. Please click here to access the letter. The Ohio Council has partnered with UST since 2000 to help our members better manage their unemployment claims, ensure HR compliance and streamline day-to-day operations. Whether your primary focus is to protect your assets, to ensure compliance with the latest state regulations, to reduce unemployment costs or to simply allocate more time and money to your key mission initiatives, UST has a solution for you. By evaluating your unemployment claims history, number of employees and tax rate (if not yet reimbursing), UST can help determine which of their programs would best meet your needs. The Ohio Council and the law firm of Vorys, Sater, Seymour and Pease LLP (Vorys) have agreed to collaborate on a program which will provide members with a legal consultation services program. This member benefit will provide members with two (2) hours of legal services during a 12-month period, the first hour to be waived by the firm and the second hour paid by the Ohio Council. The Vorys law firm has represented the Ohio Council since 1996 and a number of member organizations. They have developed significant knowledge on many complex and unique issues involving local contracting, Medicaid, state-county-provider issues and others specific to Ohio's publicly managed and privately provided behavioral health system. While the Vorys firm provides a full array of legal services, we encourage members not to view this as replacement for your own local legal services. The potential importance and value of this legal service benefit and any additional engagement with the Vorys firm would most likely be on issues involving public policy, Medicaid and local contractual relationships. For more information call Suzanne Scrutton, Vorys, Sater, Seymour and Pease LLP, (614) 464-8313, [email protected] or visit their web site at www.vorys.com. This flexible program is individually tailored to fit your organization's needs. All components of adult and child services can be covered using top "A" rated insurance companies operating throughout the United States. The Division of Behavioral Healthcare will provide you with year-round support and 24 hour claims service. In addition, workshops can be scheduled, as a provided service, on risk management, claims and coverage analysis, loss control procedures, and preparing for a managed care environment. 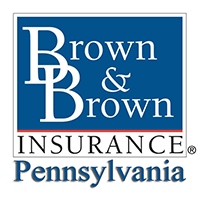 For more information about the Council's Organizational Insurance Program, call Bob McCormick, Brown & Brown of Lehigh Valley, (800) 634-8237, [email protected] or visit their web site at http://www.bbinslv.com. Enterprise Fleet Management works with non-profits that reimburse case managers for travel to lower costs through a company car program. The program takes advantage of our economies of scale and expertise in the vehicle industry as well as a bulk Nissan discount brokered for all Ohio Council members. The results are not only lowered expenses, but improved recruiting/retention numbers, lowered liability exposure, better company image, and less of a burden placed on the employee or agency. Our expertise ranges from finding & funding the best vehicle at the cheapest price to implementing fuel, maintenance, insurance, & resale programs as a full-service fleet partner. We make it easy to transition to company cars and you can “try it out” on any level. Whether you have considered company cars in the past or not, have a look at the savings & value of having a fleet partner in today’s market. Call today to learn about their cost-effective fleet management solutions in the areas of vehicle acquisition, maintenance management, risk management programs, fuel savings, monthly reporting and much more. For more information about the program, call Andrew Peretic, Enterprise, (440) 345-3999, [email protected] (for 216, 440, 330, and 419 area codes) or Mike Hohmann, Enterprise, (513) 967-4423, [email protected] (for 614, 937, 740, and 513 area codes); or visit their website at http://solutions.efleets.com/nahc/. The Ohio Council sponsors a biennial "Survey of Salary and Benefits of Mental Health and Substance Abuse Providers in the State of Ohio". The survey is conducted by Barry Associates of Kokomo, Indiana. The survey report presents information obtained from the membership of the Ohio Council. It focuses on a range of salary administration issues and addresses such areas as (a) staffing patterns, (b) salary administration programs and practices, and (c) compensation of line, management, and selected key positions. The survey report is distributed by the Ohio Council and is available to participating members, nonparticipating members, and nonmembers at three separate rates. For more information about the Salary Survey, contact Brenda Cornett, The Ohio Council, (614) 228-0747, [email protected]; John Barry, Barry Associates (919) 490-8474, [email protected]; or visit their website at http://www.barry-online.com. myLearningPointe is a comprehensive online learning solution that comprises of a robust Learning Management System (LMS) and a comprehensive online course catalog. The Learning Management System (LMS) is a secure Netsmart-hosted online portal that enables organizations to effectively create, deploy, manage, and track online and classroom training. Organizations can benefit from the power of eLearning by providing access to training from anywhere, anytime. myLearningPointe’s online course catalog includes over 400 courses that meet organization’s educational needs for clinical, regulatory, technology, and management training. environment, workforce development and training opportunities are essential to the success of an organization and to its employees. For more information about the program please send an email to [email protected] or visit www.mylearningpointe.com. Cordant Health SolutionsTM (formerly Sterling Reference Laboratories) is an industry leading, SAMHSA-Certified, full-service toxicology laboratory that provides testing services for Treatment Providers, Employers, Criminal Justice Programs, Health Care Institutions, and many other types of organizations and individuals nationwide. Cordant Health SolutionsTM means service and they thrive on offering customized drug testing protocols specifically tailored to meet individual customer needs. Additionally, they provide live access to toxicology scientists for questions regarding any testing performed by their facility. This program provides all Ohio Council members with quality, US manufactured, instant UA drug screening devices at very competitive prices. Cordant Health SolutionsTM meets a broad range of drug testing needs: SAMHSA certified testing, forensic drug testing for both court systems and employers, highly customized testing, and testing results in as little as 48 hours. For more information please visit their website at www.cordantsolutions.com or call 1-855-895-8090. The Ohio Council is continually seeking information that will enhance the benefits we offer to our members. arrangements with any of these vendors, or with any of the vendors’ products & services.